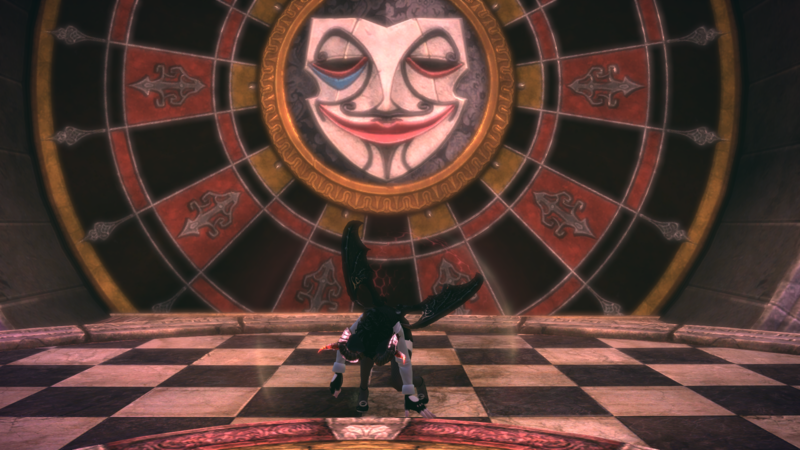 Halloween is here and it’s time for some fun with screenshots! 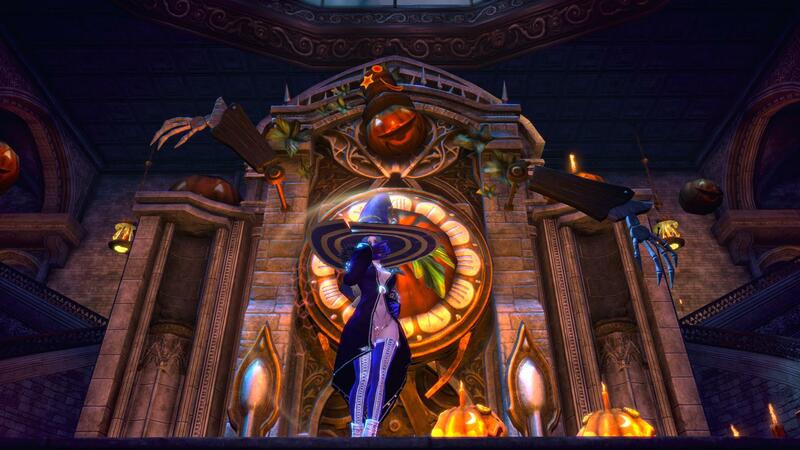 We want to see some great Halloween-themed screenshots, and that’s where you come in. From Monday, October 23 to 11:59 p.m. PDT on Sunday, October 29, you can submit a single, perfect screenshot that best fits your Halloween spirit! Choose a category from the list below to compete in, but you only get one entry, so pick the one that works best for you! Have fun with this contest, but don’t forget to follow the rules. Entries that do not comply will be discounted. You must state your character's name, server, and the category you’ve chosen when submitting your image (do not add it as part of the image, please). Only one player character in the screenshot. Background NPCs, monsters, and mounts are okay, but no one else. Only one screenshot per player. No multiple entries. Your character must be the focus of the shot and should be prominent. Great backgrounds are fine, but we want to see your best foot forward. No photoshopping of any kind. You can edit your post in this thread if you take a new screenshot, replacing the old one, but only before the deadline at 11:59 p.m. PDT on Sunday, October 29. You may include a brief description to be considered with your screenshot, but keep it to one sentence. 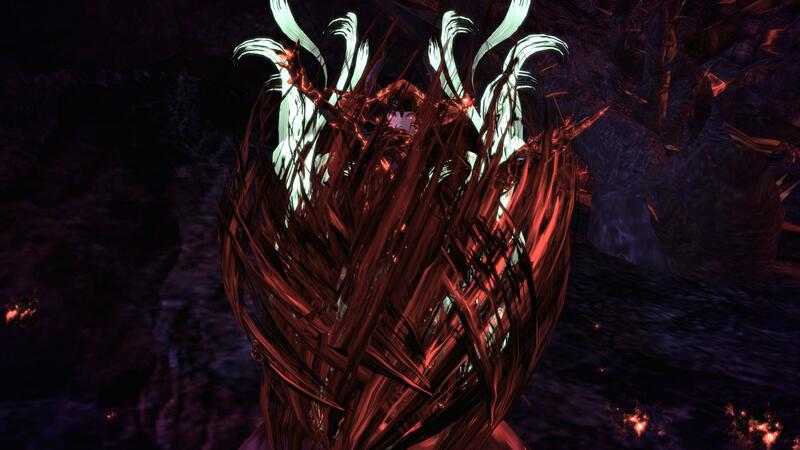 There will be one winner per category, each receiving 3,000 EMP. Winners will be announced in this thread on Halloween! It will be here before you know it, so get your entries in as soon as possible! And have a spooooky time! 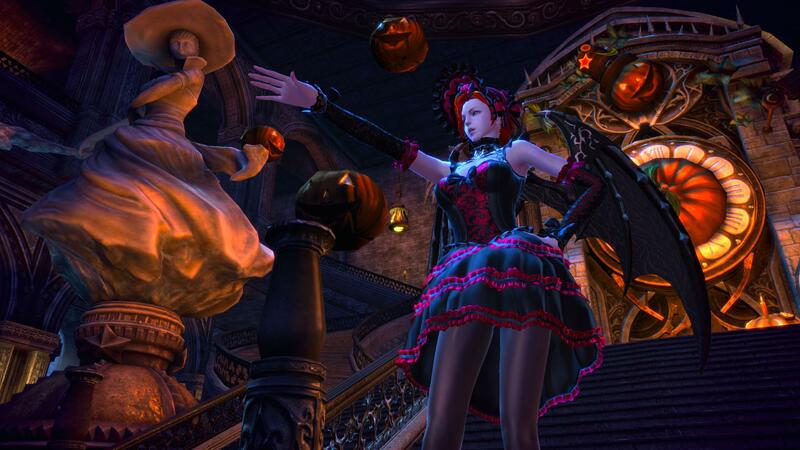 Give us one screenshot that is ALL about Halloween.
" Ku ku ku ku ku. Trick or Treat? Why not BOTH ! " "More candy or...... Elinn KICKKK!!! "Oh! for me? thank you."